Sometimes the best products are the simplest ones. The concept is so simple, why has no one done this before? Eco-Club by Travelers Club Luggage introduces the 17” expandable/foldable tote with exclusive EZ-Clip. At the 2011 International Home and Housewares Show in Chicago, this was one of my favorite selections for practicality, ease of use and sustainable practice. 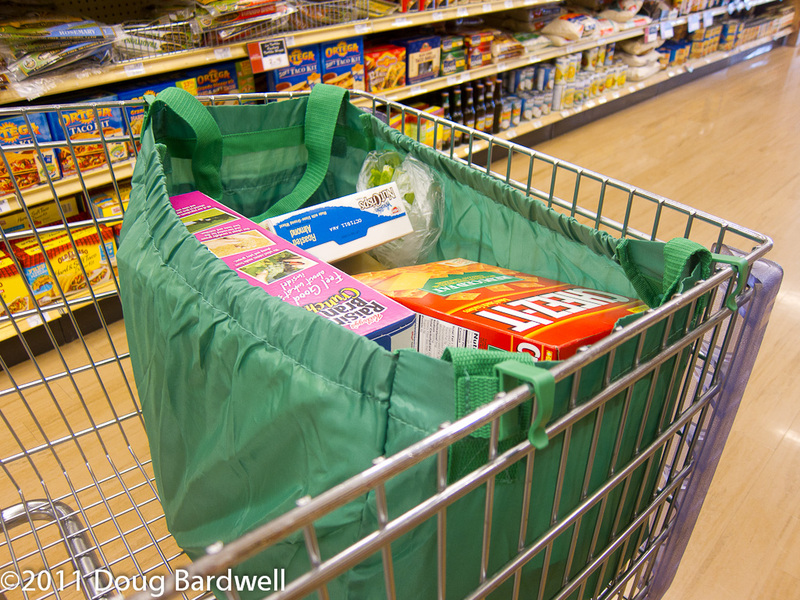 It’s a heavy duty, yet lightweight reusable grocery tote that comes with patent pending clips to slip over the sides of your grocery cart. The clips hold the bag open for easy shopping and packing. On the outside of the bag, there is a zippered pocket which is a great place to store your coupons so you always have them when you arrive at the market. Heavy duty handles on either side are long enough to slip over your shoulder, which makes it easier to carry an overloaded bag. The bags come in a choice of three colors; red, green or black. Before and after use they fold down into a compact flat bundle that makes it easy to always have with you. 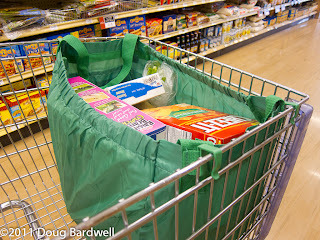 And don’t just think grocery shopping, they also work great for picnics and travel. For more information, check their website at http://www.ecoclubusa.com Look for the EZ Clip-n-Shop.